If you seek out palm oil free products, you know how difficult it can be. Palm oil is prevalent in processed foods, cleaning products, and personal care items. This list of palm oil free products includes categories that typically contain palm oil and derivatives. The list starts with foods, then includes palm free self-care and hygiene products, and then cleaning products. We update this list regularly. Check back often. The more we support products made without palm oil, the better. According to Today’s Dietitian, the FDA’s proposal to ban trans fats has created even greater demand for palm oil in foods. In addition to the environmental concerns, many people avoid palm oil for health concerns. With 500+ names for palm oil derivatives, it’s a challenge to find products without palm oil. Please, do your best to support these brands and products so they will continue making them without palm oil. As always, read labels. Manufacturers continue to change their ingredients to save money. We have confirmed Dave’s Killer Bread doesn’t use palm oil or palm oil derivatives. They use organic canola oil and zero palm oil derivatives. You absolutely must read labels before you buy any bread, buns and rolls. In the United States, palm oil derivatives are common. Please note, Nature’s Bakery Organic Brownie bars contain palm oil but their non-organic bars do not. See more brownies and desserts without palm oil. Yes, most candy contains it. See our list of candy without palm oil for an extensive list of choices. Note, candy canes are not always palm oil free. Look for ones without Glycerin and Glycerol, palm oil derivatives. Something else to note: Reese’s Peanut Butter Cups have different recipes. Read labels and choose the ones without palm oil. See a detailed list of cereals without palm oil. See below for Granola. Please note, their Gluten-Free Breast Nuggets contain palm oil and is clearly labeled. A representative from Foster Farms also added: Because our formulations are subject to change, please be sure to check the ingredient statement prior to each purchase. However, this is true all the time when you are looking for palm oil free products. Also, many companies who make breaded products often only list “vegetable oil,” without the source. In order to support palm oil free products, you will need to know the source before buying it. These coffees are free from palm oil and obtained Palm Oil Free certification by the International Palm Oil Free Certification Programme. We’ve included coffee on this list because theirs is certified. However, palm oil is most likely not common in regular ground coffee. However, watch for palm oil derivatives in bottled coffees that are pre-made along with creamers, etc. Note about Pepperidge Farms: They wrote back to say that different suppliers may use palm oil so they can’t confirm these cookies are always 100% palm oil free. We included them on this list because we have purchased them for years, and in our area they have remained palm oil free. We appreciate their transparency and for using real ingredients in their products. As with everything, be sure to read all labels. See our list of cookies without palm oil. Bare Snacks offers apple, banana, and coconut chips with many organic offerings. Many fruit snacks contain Glycerin and/or Vitamin A Palmitate, both palm oil derivatives. More than ever, and especially in “generic,” store brands, graham crackers contain palm oil. READ LABELS! Nabisco’s Honey Maid line was the only one we found in our grocery store without it. Most granola brands contain Tocopherols and/or Glycerin, palm oil derivatives. See below for granola bars. Glee Gum is also free from artificial chemicals, flavors, and dyes. Ben & Jerry’s: Worldwide, they make all of their flavors and products without palm oil! We are grateful to Ben & Jerry’s for making all of their ice cream without palm oil. Please note, when looking at the vanilla Breyers flavors, only the Natural Vanilla is a palm oil free product. Their Extra Creamy Vanilla, French Vanilla, and Homemade Vanilla contain mono- and diglycerides which are typically palm oil derivatives. See our list of peanut butter without palm oil. Note, Enjoy Life Crispy Grain & Seed bars are the first in the United States to be earn the International Palm Oil Free Certification Accreditation Programme’s (POFCAP) “Palm Oil Free” label. Enjoy Life also earned the Palm Oil Free certification for four flavors of their Protein Bites. RXBAR confirmed they only make palm oil free products. Avoid “filled” bars. Also, watch for Glycerin, Glycerine, and Tocopherols, typically made from palm oil. Don’t be persuaded by “healthy-looking” packaging. To learn more, see our list of granola bars without palm oil. Quinn Snacks: Their microwavable popcorn seems to be the only product of it’s kind without palm oil. They make seven flavors palm oil free. Some flavors include Parmesan & Rosemary and White Cheddar. Watch out for seasonal flavors which may contain palm oil. For more information, see our list of popcorn without palm oil. Avoid potato crisps and chips in cans. Also avoid shoestring potatoes and potato sticks. Canned potato snacks typically contain mono- and diglycerides, palm oil derivatives. Watch out for organic potato chips which often contain palm oil. Especially read labels when you are looking for gluten-free varieties. Manufacturers often use DATEM or palm oil as a replacement. Also, some single serving bags and often holiday varieties contain palm oil. There is more information in our pretzels without palm oil post. We have a post dedicated to snacks without palm oil. All of Red Ape Cinnamon’s products listed in this post have been certified Palm Oil Free by the International Palm Oil Free Certification Programme. Even if spices don’t list palm oil in the ingredients, you won’t know if they are derived from palm oil sources unless you verify with the company. Read labels and choose palm oil free taco shells. You should be able to find them. At long last we were able to find palm oil free cosmetics! They make their products with vegan, organic and raw ingredients. Their Aura Balms are coconut-based. You can use them on brow ridges, cheeks, collarbones — on skin where you want some color. Watch for Tocopherols. Unless they include the source, they are often made with palm oil. The Tocopherols in Hurraw! are sourced from sunflower. Learn more by checking out lip balm without palm oil. See our post for medicine without palm oil. We were able to acquire it by going to a compounding pharmacy. Look at the OTC tablets, capsules and liquids in your home. They likely contain palm oil derivatives which are listed in the above-mentioned post. On a personal note, I couldn’t decide which Ethique shampoo and conditioner to choose. I was happy to see they offer a sample set. Each box comes with three of Ethique’s palm oil free shampoos and two of their palm oil free conditioners. In this way, I have been able to sample these shampoos: Damage Control, Frizz Wrangler, and Heali Kiwi. Also, the sample set comes with two conditioners: The Guardian and Wonderbar. Each of the shampoo and conditioner bars lasted longer than I thought they would. I’ve used them a minimum of four times each, and there is still over half left. It’s been a great way to try them all. They are all quality products, easy to use, and work really well. See Shampoo without palm oil. EmpireSquid’s Vitamin E is derived from non-GMO soy as well as sunflower oil. Read soap without palm oil for more information. There are often palm oil derivatives in sunscreen, making it difficult to find sunscreen without palm oil. Even organic and healthy-seeming sunscreen brands contain derivatives. See sunscreen without palm oil for more palm oil free options. Ingredients to watch out for include Glycerin, Sodium Laurel Sulfate, and Propylene Glycol, all palm oil derivatives. Learn more at toothpaste without palm oil. In the United States, we have yet to find spray cleaners, dishwasher detergent, and non-specialty laundry soap without palm oil. Even healthy-seeming brands contain them. Spray cleaners often contain “plant-derived cleaning agents” which are typically made with palm oil derivatives. Use a Swiffer Sweeper stick with reusable microfiber cloth instead of Swiffers. Use it to mop your floors without chemicals. Clean Conscience is an Australian brand. These products have been certified as palm oil free by the International Palm Oil Free Certification Trademark. It is increasingly difficult to find palm oil free products. The FDA has required manufacturers to eliminate trans fats from processed foods. Companies have turned to palm oil as the replacement. Demand for palm oil continues to rise. Use this list of palm oil free products when you shop. In addition to foods, manufacturers rely on palm oil ingredients in cleaning products. It is a challenge to find laundry detergents, spray cleaners, dish soap, and dish wash detergent without palm oil. It’s also difficult to find palm oil free self-care items. Palm oil is prevalent in soap, shampoo, shaving cream, lotion, deodorant, sunscreen, toothpaste, and cosmetics. There are many reasons consumers look for palm oil free options. Many people choose to avoid palm oil for the environmental concerns. Others avoid it for health concerns. According to EatingWell, palm oil and palm kernel oil are high in saturated fat. Learn more here. Other consumers choose palm oil free products because they experience allergic reactions or get sick from palm oil. Read labels every time. Often, companies change their ingredients. Read labels and buy the palm oil free products. Vote with your dollars. Learn why companies use palm oil so you can look for palm free versions. Sometimes you can make your own. Go on social media and tell companies palm oil free products are important. Ask companies for palm oil free alternatives. Go on social media and ask companies why their products contain palm oil. Read ingredient labels before you buy anything. Buy palm oil free products and brands. Find companies who don’t use any palm oil, and be loyal to them. You can also email companies. However, most often, you will be contacting a customer service representative. You won’t know if your message is getting past this person to the decision-makers within the company. Have a palm oil free holiday. Often, when we email companies, we get canned, generic answers back from them. Many reply with their “sustainable palm oil” policy without seeming to read the questions. It’s only when we delve further that we reach someone with more authority to get accurate information. This is why we suggest you email them but also contact them professionally on social media. You may attract more attention to your message. We continue to contact companies to confirm their products are palm oil free. Check back often for this updated list of palm oil free products. We will be adding more posts with palm oil free products. Please note, this is not meant to be medical advice. Consult with your healthcare provider. We sourced this list after looking at ingredient labels and comparing them against lists of hundreds of names for palm oil ingredients and derivatives. We contact companies to inquire about their specific products that seem to be made without palm oil. As they write back, we continue to update and note when they confirm their products are palm oil free. However, please do your own due diligence as well. 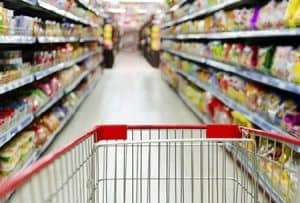 Before you buy anything, read the labels while you are in the store. Buy the products that are palm oil free. Read labels every time. This list is meant to be a starting point and is not guaranteed. Also, we always are updating and adding to this list as we find palm oil free products. Please leave your Comments below with tips, palm oil free products you have found, or anything to help build awareness. Thank you! I recently wrote to ecover. Thank you so much for writing and for being a proactive consumer. We will check them out! Hi Emily. We heard back from Ecover. They said they don’t have any cleaning products they can guarantee are free of palm oil derivatives. However, they also stated they work with suppliers to source ingredients derived from coconuts instead of palm oil when possible. They also said cleaning surfactants can come from either palm or coconut sources, and most of our suppliers have switched to coconuts for these materials. This is definitely a company to support as they are the only ones we’ve found so far who use coconut instead of palm oil. Thank you for checking in with Breyers today. The tara tree is native to the Cordillera region of Peru and Bolivia in South America. Tara gum is a natural additive, obtained by grinding the endosperm of the seeds of this tara tree. It is not a palm tree. The tara tree’s scientific name is Caesalpinia spinosa, of the Leguminosae or the pea family; therefore, a relative of soybeans, green beans, green peas, etc. Thank you for writing, Sandra. This information will be helpful to others. That is wonderful news to hear you contacted Breyers. It’s important companies know that consumers are reading ingredient labels and making purchasing decisions based on them. We find many companies are quick to point out when their ingredients are NOT sourced from palm oil but rather vague when they seem to be derived from palm oil. We really appreciate the time you took to comment. Thank you for being a proactive consumer! I found out today that Divine Chocolate bars contain no palm oil. According to the front page of their website it states No Palm Oil. This is great news!! What wonderful news. Thank you so much, Tammy! We look forward to including them in this post as well as in our popular post: Halloween Candy Without Palm Oil. We really appreciate you taking the time to get back with us with all to share all of these products. This list is mindboggling! Thanks for all the research. I don’t understand how butter and coffee can have any derivative of palm oil in them. Thank you for writing and for your comments. “Traditional” butter is typically fine as long as Vitamin A Palmitate isn’t added. We will change our heading from “Butter” to “Butter Substitutes” to make this distinction. Thank you! Many vegan and butter-like products have palm oil in them. We just wrote to Red Ape Cinnamon to ask about ways in which companies may be using palm oil derivatives in coffee. We listed Red Ape Cinnamon’s coffees above because theirs have been certified palm oil free. We will update when they write back. Thanks for being an informed consumer! Hi again, Kathleen. Red Ape Cinnamon had their coffee certified so we have included it above as they don’t use any palm oil derivatives in their production lines. Mostly you will need to read labels on pre-made, bottled coffee drinks. Hi there! My name is Val and I am Co-founder of a small-batch spread family-owned company called Spread The Love®. We are huge advocates of no palm oil use on food and basically everything else that contain it. In fact, we recently published a blog post about it. How can our products be added to this list? I’m so glad to have found your site. Thank you in advance. Thank you for contacting us, Val. We are happy to include you to this list as well as to our popular post: Peanut Butter Without Palm Oil. We think it’s great your company actively promotes “No Palm Oil” on your website and on your product labeling. You are one of the very few companies (food and non-food) we’ve found who promotes this as a huge consumer benefit. Thank you for helping to educate consumers. Thank you for making all of your products without palm oil, Spread the Love Foods! We look forward to buying your products. Thank you, Elise! We will contact them and hopefully be able to include their products within this post as well as our others about shampoo, soap, deodorant and more. Thank you! !